The leading web-based,Biometric,RFID Smartcard Platform for Enterprise-wide Solutions in ID Management. 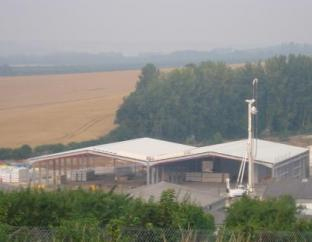 Located in Kent, the Garden of England, Mansfields is one of the largest growers and packers of top, stone and soft fruit with over 40 years experience. 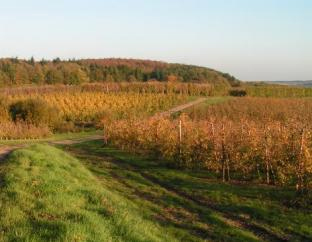 The family run business is the UK's biggest apple grower and largest UK cherry grower, whilst also growing pears, plums and strawberries in significant volumes for the trade. Mansfields hires approximately of up to 200 people on site per shift. Shifts alternate frequently and requires lots of daily transactions from the users. Mansfields required a Time Attendance solution that can cater high transaction loads and have preventative measures to combat against problems of "buddy punching" where employees may pass on their details to clock in despite not being on the site. 8x ACTAtek Biometric Fingerprint terminals were installed on site. Biometric fingerprint technology for accurate and secure user authentication. Web base technology allows the transaction logs to be remotely accessed in virtually any location in the World with WAN connection. LAN connectivity from the ACTAtek units easy connectivity allows multiple site installations with unified data synchronisation that reduces administration time and unnecessary additional costs. Thinking Software provided their software to integrate with the ACTAtek hardware - Thinking Software Rota Horizon human resource solution. Transaction logs are gathered from the terminals and are processed by the software to generate employee reports and payroll calculations. Logs are synchronised to the 8x ACTAtek Biometric Fingerprint terminals using ACTAtek Sync. Mansfields are constantly supported by Thinking Software and ACTAtek for any technical queries and difficulties they may have encountered and are currently satisfied with their Time Attendance solution. © Copyright ACTATEK (UK) Ltd. All Rights Reserved.